Religious celebrations are a very meaningful experience and can be enjoyed by family and friends. Some of these religious parties can be baptisms, christenings and communions. 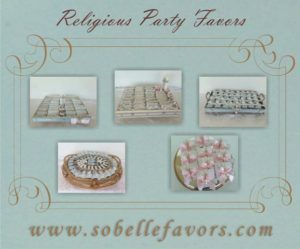 Sobelle Favors offers special religious favors for the party that you will be planning. 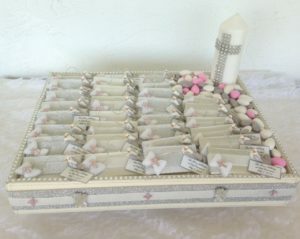 The party favors are specially wrapped chocolates with highlighted religious decorations in a variety of color choices. 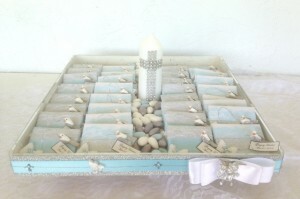 We can do custom orders for any specific religion and desired design ideas for the favors. We do not limited ourselves to helping any certain religion to honor your religious event. 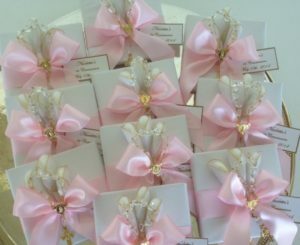 Your spiritual desires can be commemorated at the religious ceremony and your guests will be able to enjoy the chocolate favors. 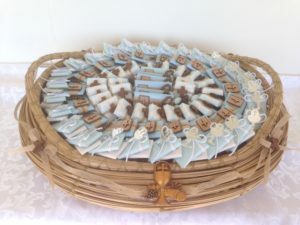 Our chocolate favors can have special decorations added such as crosses, angels, Madonna, baby Jesus, doves, fish, stars, rosary, Virgin Mary, menorah, dreidel, candles or any other specific religious symbol of your choice.